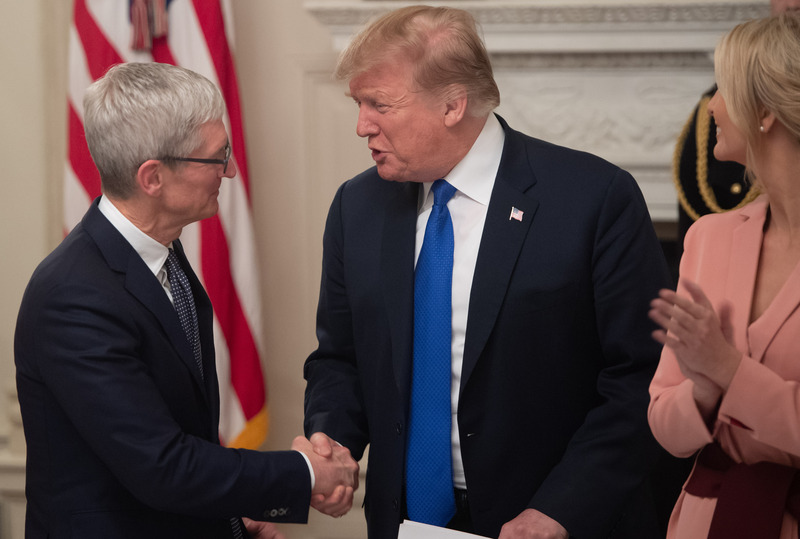 President Donald Trump claimed that the recording of his “Tim Apple” gaffe was “fake news” during a meeting with Republican donors at Mar-a-Lago in Florida Friday night, according to donors cited by Axios Sunday. Two donors told Axios that Trump said he actually said “Tim Cook Apple” really fast during the meeting Wednesday. He also said he said “Cook” softly, according to sources cited by Axios. “I mean, you’ve really put a big investment in our country. We appreciate it very much, Tim Apple,” Trump said in the video from their White House meeting. Trump and Cook’s Wednesday meeting covered tax reform and trade with China, reported CNBC. Cook and other CEOs joined Trump’s National Council for the American Worker to deal with the workplace shift caused by artificial intelligence. Trump told Cook and other CEOs at Wednesday’s meeting that he is a supporter of legal immigration in order to support the country’s growing economy.